On the 1st November it was announced that the third and fourth rounds of the Regional Development Australia Fund were opened. Round 3 will support small towns (population of less than 30,000) with $50 million in grant funding to be provided. Round 4 will support strategic infrastructure projects and is modelled on the successful Rounds One and Two. $175 million in grant funding will be provided. Given that the next $225 million of funding is now available I thought it would be useful to do some analysis on the approximately $350 million that has already been approved. I have taken great pains to present the following detail in a completely neutral way, utilising only publically sourced information but it should be noted that all analysis and views expressed are my own and do not reflect that of any employer or organisation that I am associated with. The first graph is a representation of the Expressions of Interest (EOI) for Rounds 1 and Round 2 split between accepted (green) & rejected (maroon). Although the amount of applications for Round 1 was well documented I couldn’t find a Department released document which confirmed the Round 2 numbers, thus I had to physically count the EOI’s by Regional Development Australia region then added three applications which were rejected by the Department due to duplication. The biggest item worth noting from this graph is the sheer weight of applications which resulted in a low acceptance rate (just 6.33% for Round 1 and 9.96% for Round 2). 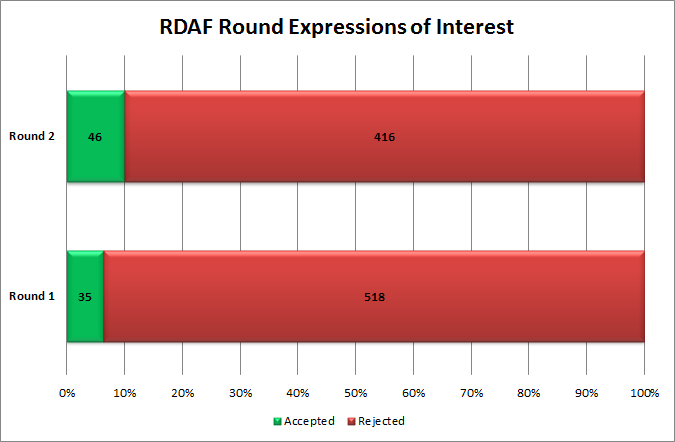 Figure 1: RDAF Round 1 & 2 Expressions of Interest. Data sourced from the Department of Regional Australia, Local Government, Arts and Sport. The next round of graphs includes breakdowns by State and Territory. It should be noted that the Australian Capital Territory (ACT) received no funding in this round. 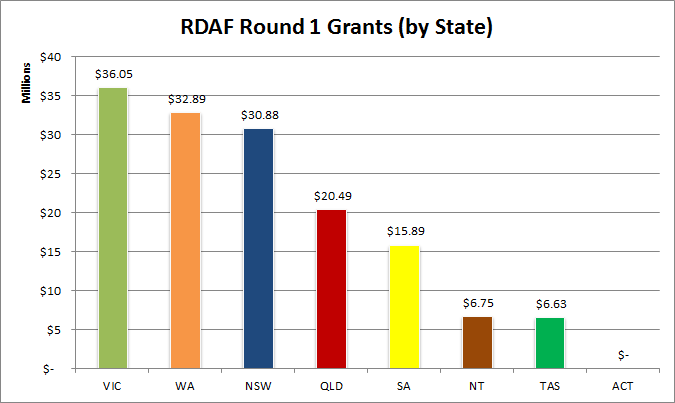 Figure 2: RDAF Round 1 Grants by State or Territory. Data sourced from the Department of Regional Australia, Local Government, Arts and Sport. In Round 2 there was $199.76-million of funding grants available. Again it should be noted that the ACT did not receive any funding in this round. 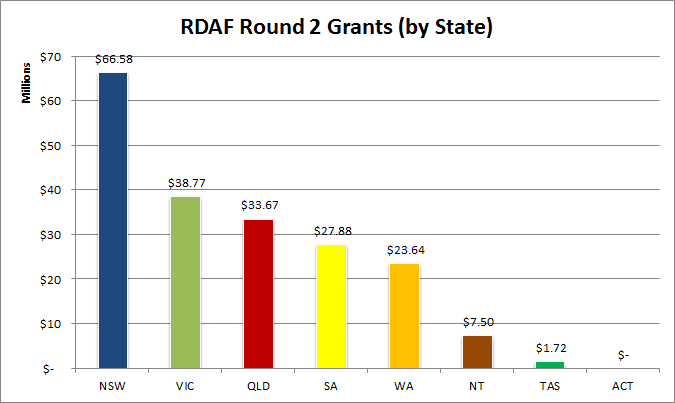 Figure 3: RDAF Round 2 Grants by State or Territory. Data sourced from the Department of Regional Australia, Local Government, Arts and Sport. The final State graph is the total amount of funding won in Round 1 and 2 by each state. 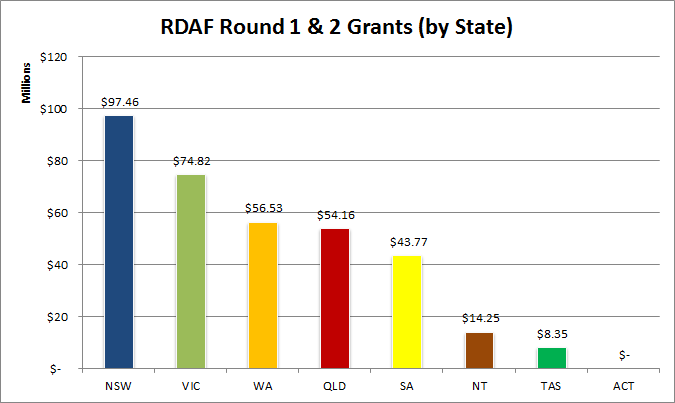 Figure 4: RDAF Round 1 and 2 Grants by State or Territory (combined). Data sourced from the Department of Regional Australia, Local Government, Arts and Sport. 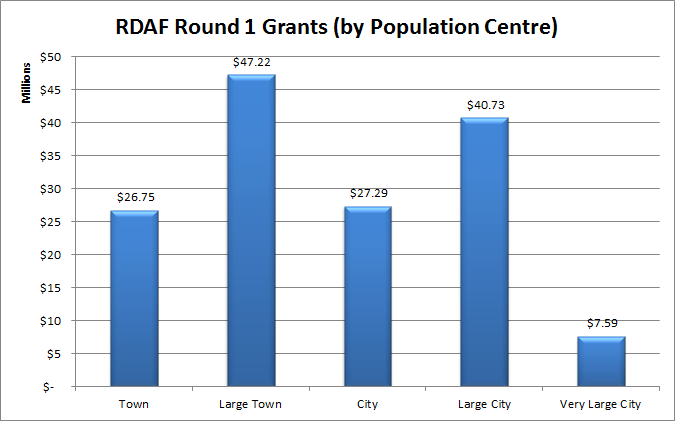 Figure 5: RDAF Round 1 Grants by population size. Data sourced from the Department of Regional Australia, Local Government, Arts and Sport and the Australian Bureau of Statistics (where required data was also sourced from individual council’s websites for additional verification). 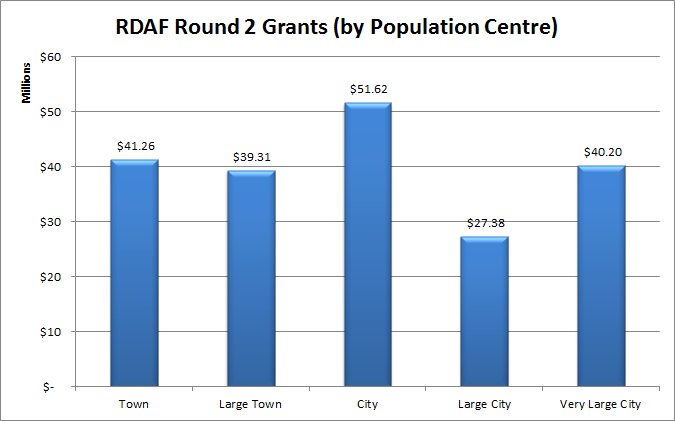 Figure 6: RDAF Round 2 Grants by population size. Data sourced from the Department of Regional Australia, Local Government, Arts and Sport and the Australian Bureau of Statistics (where required data was also sourced from individual council’s websites for additional verification). 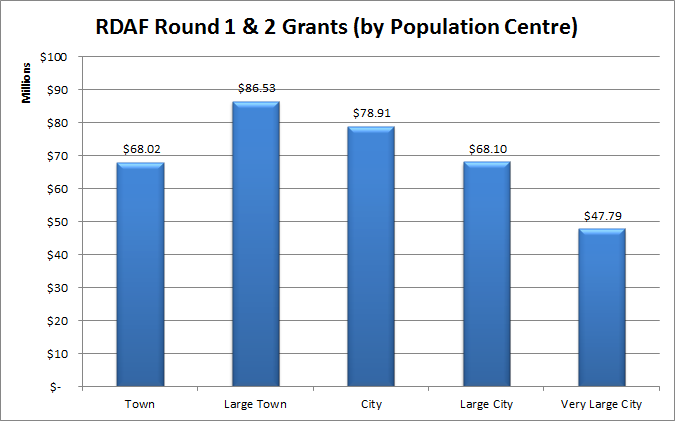 Figure 7: RDAF Round 1 and 2 Grants by population size (combined). Data sourced from the Department of Regional Australia, Local Government, Arts and Sport and the Australian Bureau of Statistics (where required data was also sourced from individual council’s websites for additional verification). Because Hobart and Darwin both fall under the Very Large City definition I thought it useful to capture funding for all capital cities as compared to non-Capital cities. I’ve defined the Capital Cities limits in line with the Australian Bureau of Statistics Greater Capital City Statistical Area. 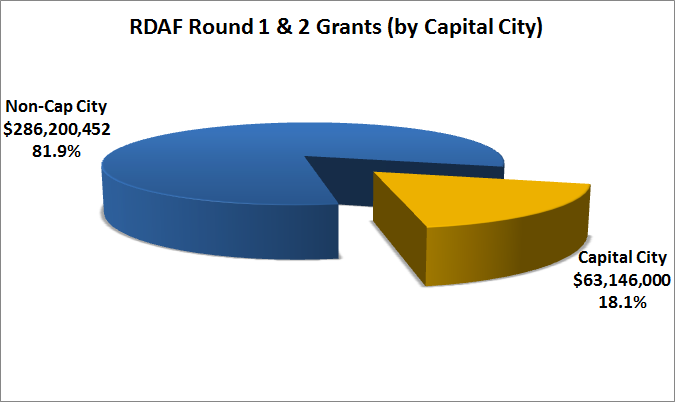 Figure 8: RDAF Round 1 by Capital City. Data sourced from the Department of Regional Australia, Local Government, Arts and Sport and the Australian Bureau of Statistics. 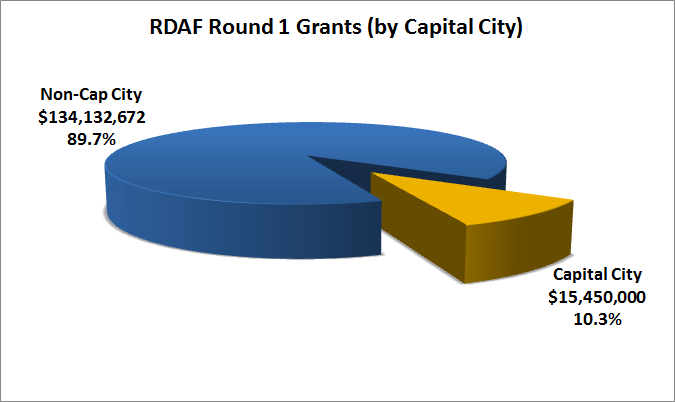 Figure 9: RDAF Round 2 by Capital City. Data sourced from the Department of Regional Australia, Local Government, Arts and Sport and the Australian Bureau of Statistics. 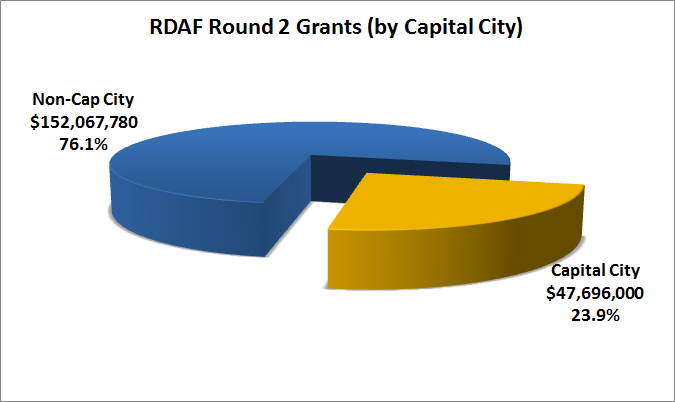 Figure 10: RDAF Round 1 and 2 by Capital City (combined). Data sourced from the Department of Regional Australia, Local Government, Arts and Sport and the Australian Bureau of Statistics. The next set of graphs show the break-down of funding by political party. For the conservative side I have coded the different variations of the Liberal Party as either Liberal, Liberal National Queensland and in the NT the Country Liberal Party. All three variants are blue. The Australian Labor Party is represented in maroon, the National Party is yellow (this includes funding received in the seat of O’Conner) and Independents are brown. 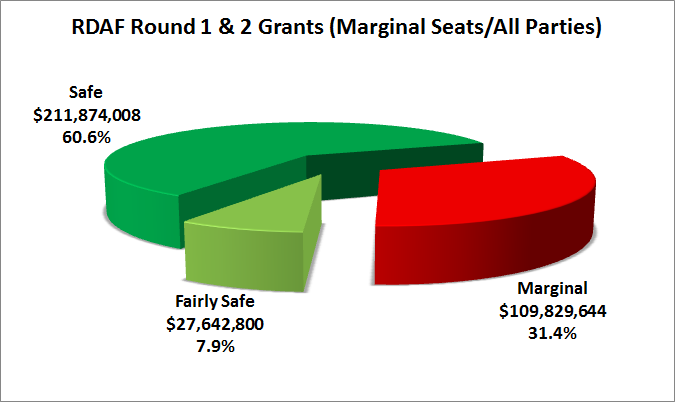 No funding in either Round 1 or Round 2 was received by a seat held by the Australian Greens. 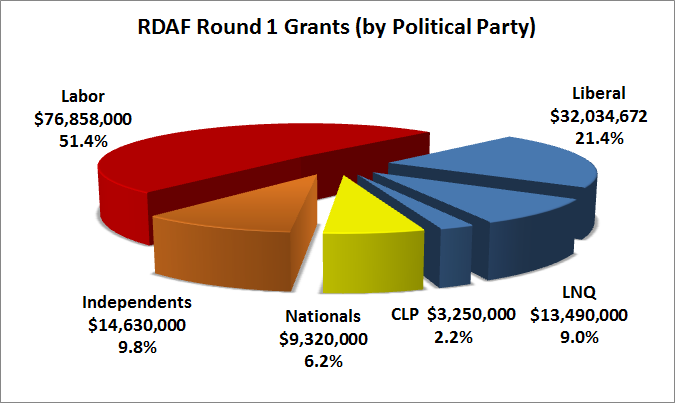 Figure 11: RDAF Round 1 by Political Party. Data sourced from the Department of Regional Australia, Local Government, Arts and Sport, the Australian Bureau of Statistics, the Australian Electoral Commission and Antony Green’s Election Blog. 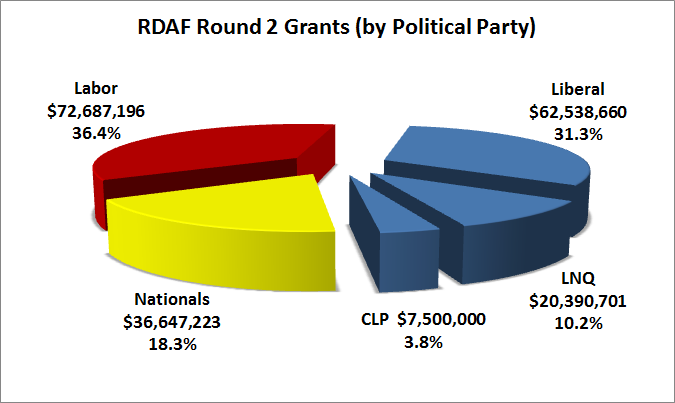 Figure 12: RDAF Round 2 by Political Party. Data sourced from the Department of Regional Australia, Local Government, Arts and Sport, the Australian Bureau of Statistics, the Australian Electoral Commission and Antony Green’s Election Blog. 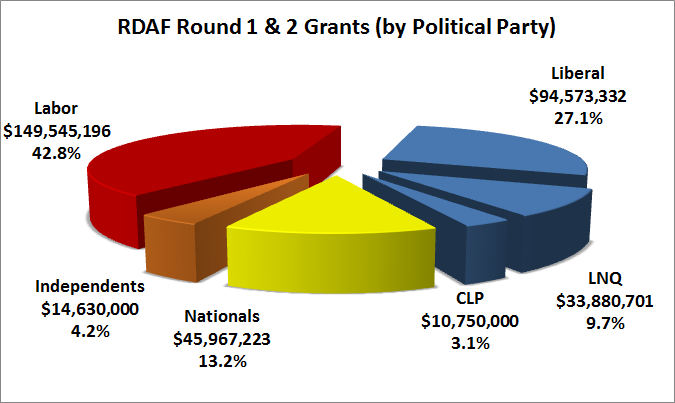 Figure 13: RDAF Round 1 and 2 by Political Party (combined). Data sourced from the Department of Regional Australia, Local Government, Arts and Sport, the Australian Bureau of Statistics, the Australian Electoral Commission and Antony Green’s Election Blog. I then looked at how much funding went to marginal seats and I drew my definition of such a seat from the Australian Electoral Commission. In the next series of graphs I have broken the pie into three segments, that is those seats which are safe (more than 60% 2PP), those that are fairly safe (56 – 60% 2PP) and those that are marginal (50 – 56% 2PP). Figure 14: RDAF Round 1 by 2PP margin percentile. Data sourced from the Department of Regional Australia, Local Government, Arts and Sport, the Australian Bureau of Statistics, the Australian Electoral Commission and Antony Green’s Election Blog. Figure 15: RDAF Round 2 by 2PP margin percentile. Data sourced from the Department of Regional Australia, Local Government, Arts and Sport, the Australian Bureau of Statistics, the Australian Electoral Commission and Antony Green’s Election Blog. 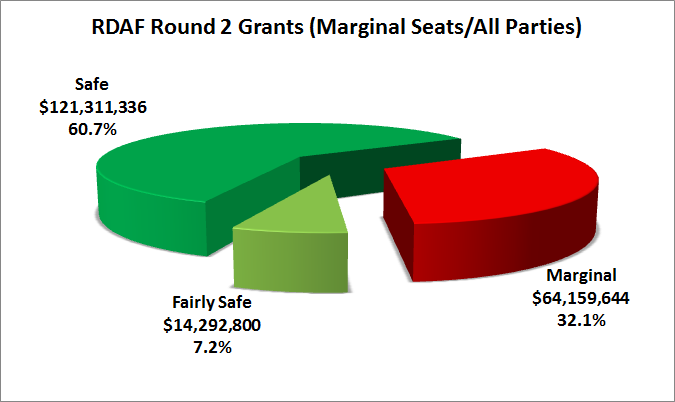 Figure 16: RDAF Round 1 by 2 by 2PP margin percentile. Data sourced from the Department of Regional Australia, Local Government, Arts and Sport, the Australian Bureau of Statistics, the Australian Electoral Commission and Antony Green’s Election Blog. 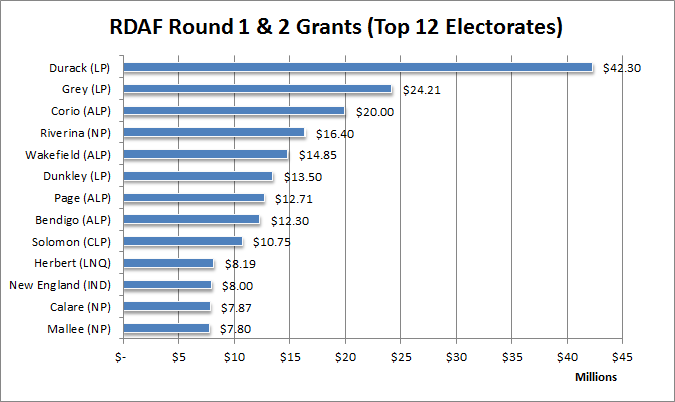 The second last series of graphs that I will present will be top-12 recipients of grants by electorate. 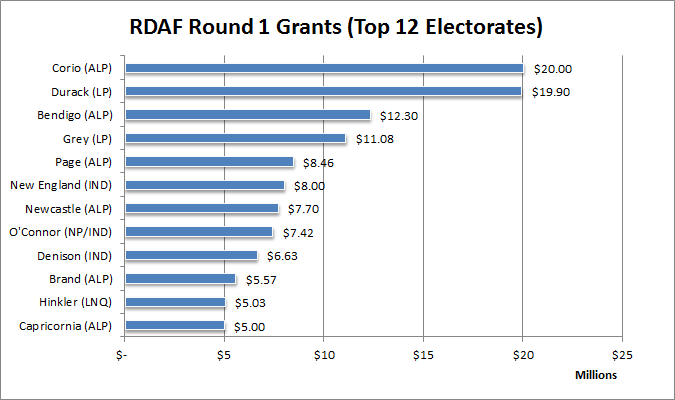 Figure 17: RDAF Round 1 by electorate (top-12 only). Data sourced from the Department of Regional Australia, Local Government, Arts and Sport, the Australian Bureau of Statistics, the Australian Electoral Commission and Antony Green’s Election Blog. 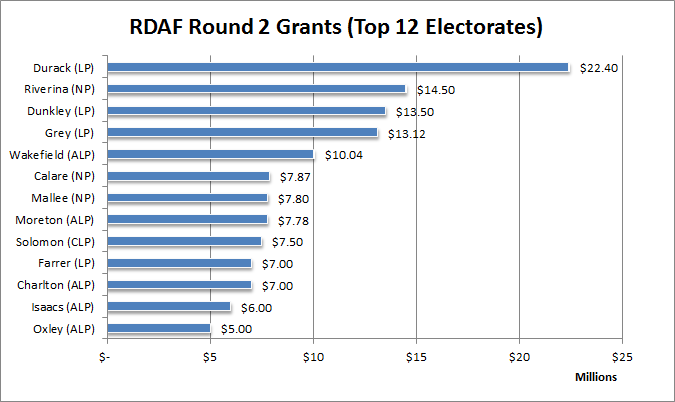 Figure 18: RDAF Round 2 by electorate (top-12 only). Data sourced from the Department of Regional Australia, Local Government, Arts and Sport, the Australian Bureau of Statistics, the Australian Electoral Commission and Antony Green’s Election Blog. 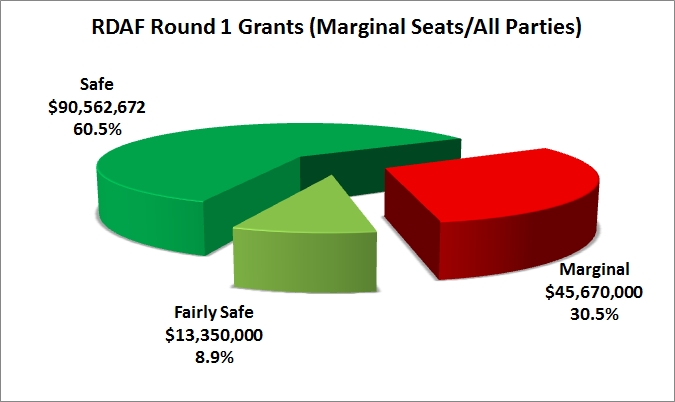 Figure 19: RDAF Round 1 and 2 by electorate (top-12 only). Data sourced from the Department of Regional Australia, Local Government, Arts and Sport, the Australian Bureau of Statistics, the Australian Electoral Commission and Antony Green’s Election Blog. 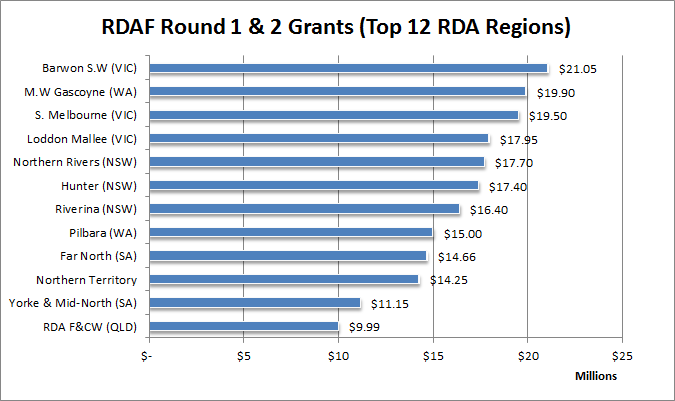 Finally, the last set of graphs is the top-12 recipients by Regional Development Australia area. 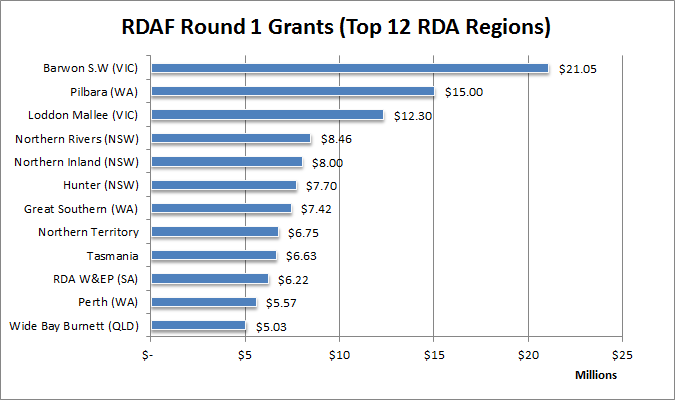 Figure 20: RDAF Round 1 by RDA (top-12 only). Data sourced from the Department of Regional Australia, Local Government, Arts and Sport. Figure 21: RDAF Round 2 by RDA (top-12 only). Data sourced from the Department of Regional Australia, Local Government, Arts and Sport. 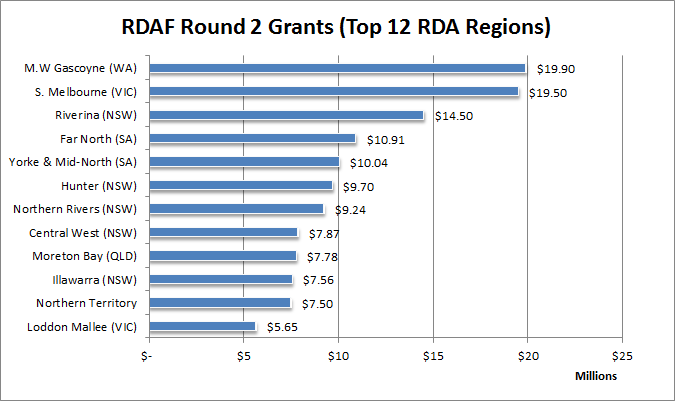 Figure 22: RDAF Round 2 by RDA (top-12 only). Data sourced from the Department of Regional Australia, Local Government, Arts and Sport. When the next two rounds of funding get announced (from 7 June 2013) I should be in a position to update both the Round 3 & Round 4 series plus the combined 4 rounds of RDAF funding as per the current views. Update 1 (26/11/12): On Thursday 22 (November 2012) I made an email enquiry to the Department of Regional Australia, Local Government, Arts and Sport to request a confirmed number of grant requests for RDAF Round 2. Here is the response from the Department received on Monday (26 November 2012). Thank you for your enquiry regarding the Regional Development Australia Fund (RDAF). Applications received by the Department in Round Two have not been published. Outcomes only have been advised publically by the Minister. In the Forward to the Round Three Guidelines, it states that Rounds One and Two of the RDAF have provided $350 million to support 81 projects with a total value of $1.2 billion. The ANAO report on The Design and conduct of the first Application Round for the Regional Development Australia Fund, tabled in September 2012 provides more detailed statistics for Round One. Thank you for contacting us with your query. Nice info here Shane – given your name and the title of this blog, when are you going to write about Granger Causality? Where you a month or two ago when I was trying to come up with a name for the blog?